The Husband and I find signs, letters and pictures like this all the time. 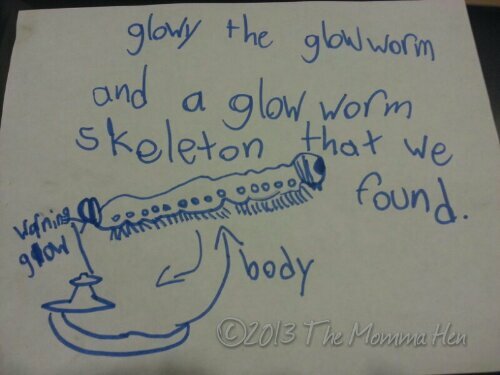 This particular one was alerting us to the presence of a glow worm skeleton H#1 and #2 found. And left in a small basket on the counter next to the laptop.